Skye Gravestones | Flora (Macpheron) & Peter Nicolson. Flora (Macpheron) & Peter Nicolson. 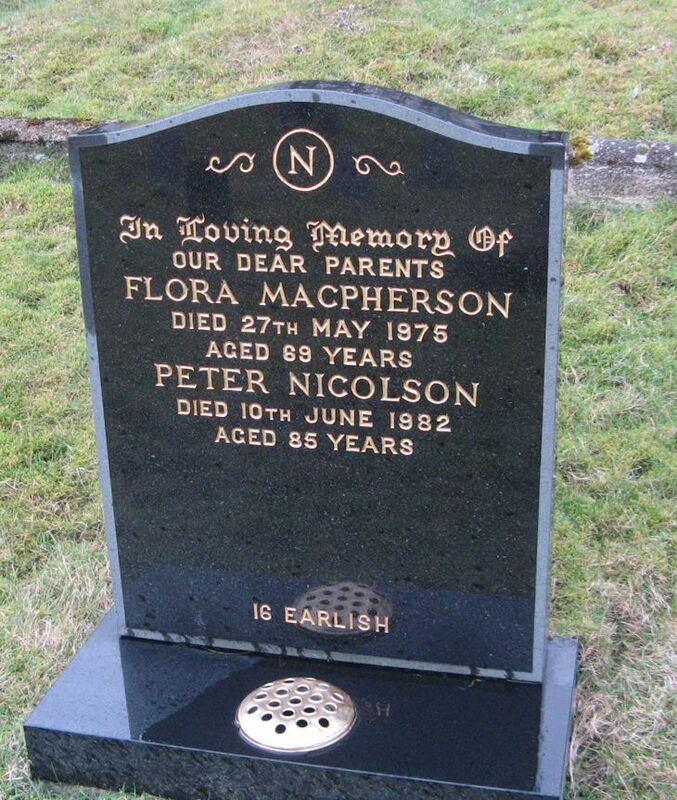 In loving memory of/our dear parents/FLORA MACPHERSON/died 27th May 1975/aged 69 years/PETER NICOLSON/died 10th June 1982. Picture Added on 21 July 2014.